It’s a shame that Bonnie Tyler didn’t do better, but in a really competitive competition we can’t just send a good song – we have to send a great song. That said – 19th place for Bonnie is what it is – not a cause of national embarrassment like it has been over the years, but not setting the world on fire either. Perhaps one of the biggest surprises of the night came from Ireland. Who would have thought that they would finish in last place? Well, someone has to, and it doesn’t mean that they are terrible songs – and this one definitely isn’t a bad song. There’s loads more for me to reflect on – but I won’t! Grab me for a chat on campus if you’re eager for more post-match analysis, or drop me an e-mail. 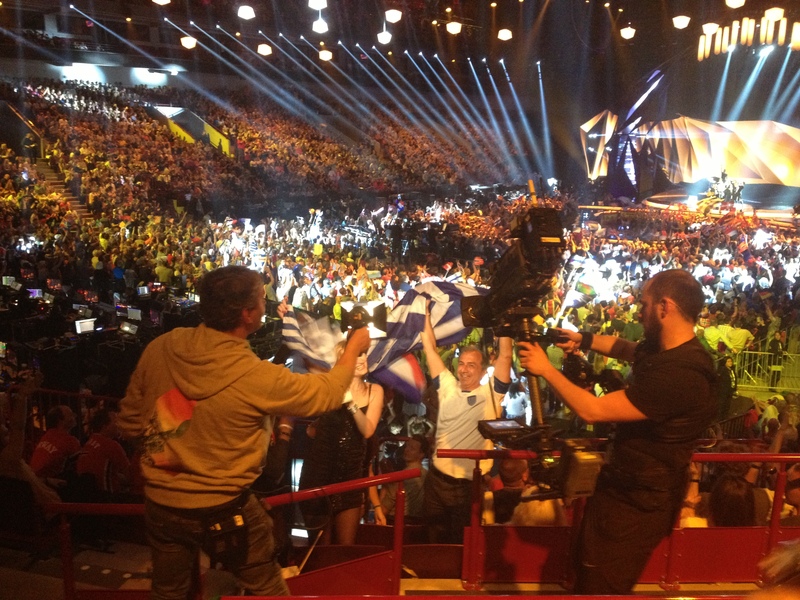 As Graham Norton mentioned during the broadcast last night – the atmosphere was really special, and I said the same after the second semi-final. It seems that the smaller venue and fantastic organisation and staging of the Contest by Swedish broadcaster SVT all conspired to produce not only a cracking piece of telly but also a bunch of great songs. 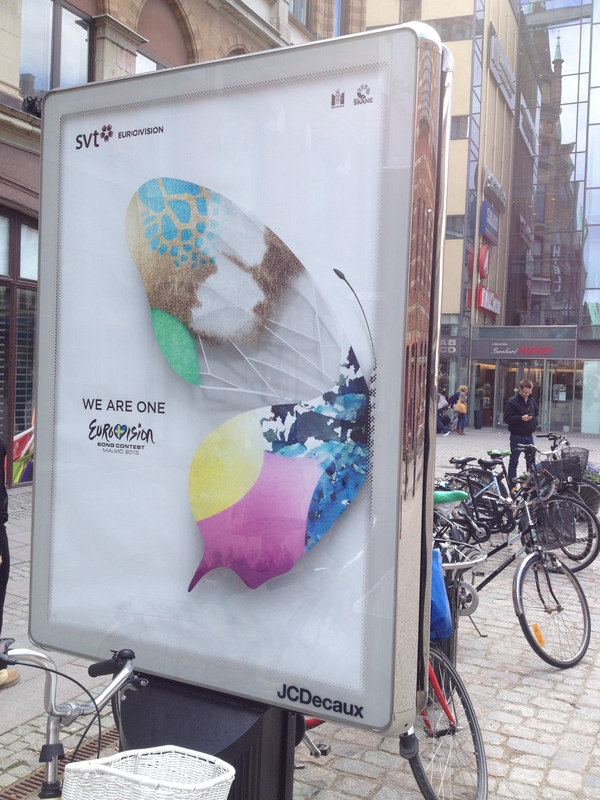 So, in homage to the mighty ABBA, let’s thank Sweden for the music. 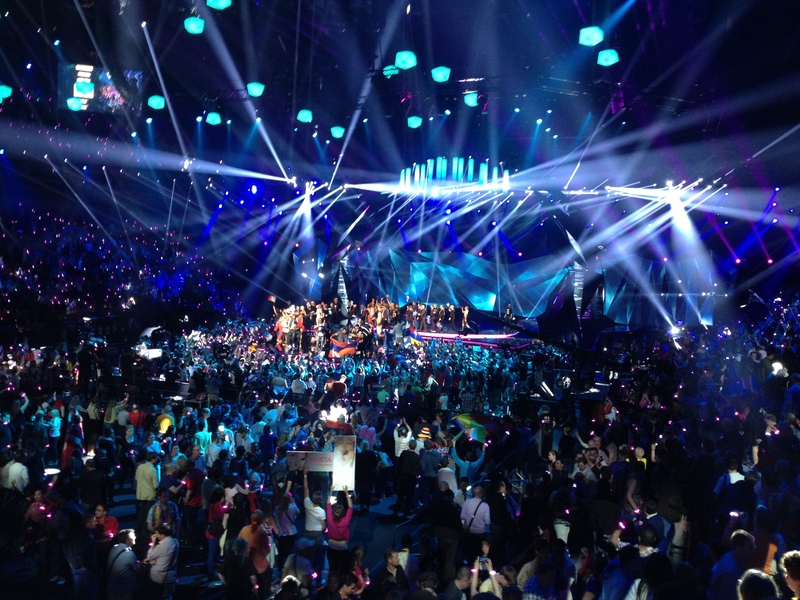 Until we meet again on this blog in Denmark next year, I hope you’ve enjoyed reading about my Eurovision journey once again – and I hope that you enjoyed yours as much as I did. It’s time for Malmö madness! So here we go then, guys. 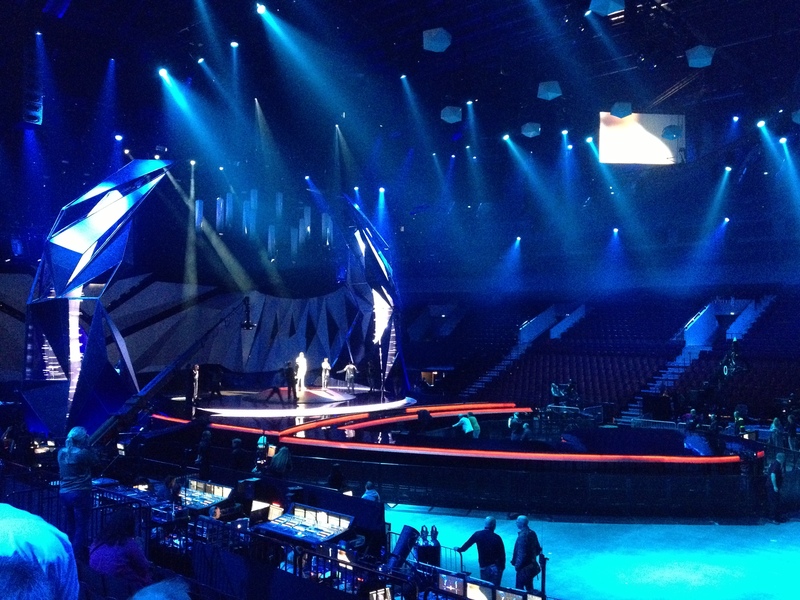 It’s the day of the ESC2013 Grand Final! How exciting! 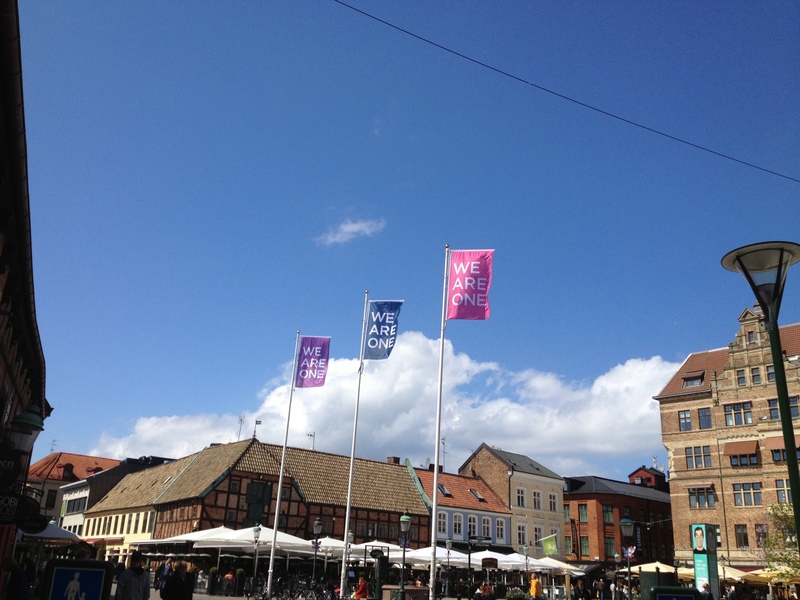 So, where will we be off to Denmark next year? It’s looking highly likely! 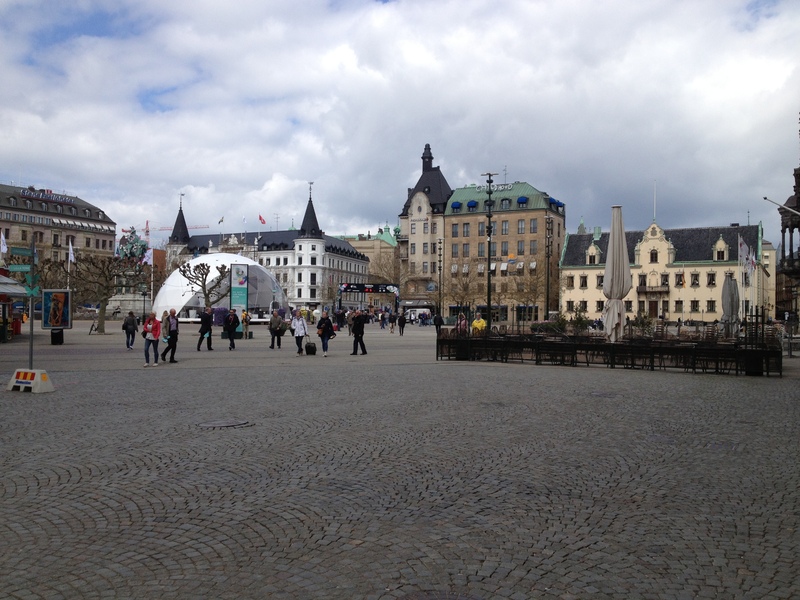 I travelled back from Malmö yesterday, after a great week. I am slightly exhausted (in a good way) as there are long (exciting) days when you’re there. I was up early every day to get to the Conference activities, and to cram in as much as I can into the week. This one was different than in previous years as my trip was much shorter. I usually go for the full week, staying for the final and then returning home. This year I have chosen to come home and watch the final on television, with my euro-buddies. You know, it really is true – once you have seen the rehearsals and the semi-finals, you really have seen everything, so sitting through the final dress rehearsal a few times can remove some of the magic. I’m looking forward to watching from home tonight with a few friends, including my travel companion this week, great friend and Eurovision scholar – Professor Brian Singleton, and my ‘Eurovision wife’ Rachel Rolfe – my bessy for all things Eurovision since the 1990s. There are things to look out for: Benny and Bjorn from Abba have collaborated with hot Swedish DJ/producer, Avicci on a new track – and we will hear that tonight – ‘citing. Hopefully Graham Norton will be entertaining in his commentary, and avoid the urge to take another step towards morphing into Wogan. The final countdown has a list of songs that have been scheduled by the EBU. Upon qualification for the final, all countries randomly select their place in the first or second part of the draw. It is then the choice of the EBU to determine the running order. And they have done a great job. Over the course of the evening last night We listened to the songs back-to-back, and it is a great flow – not too many ballads bunched together. You will notice that the up-tempo sings and the ballads trade places – so the balance feels right. Great that Ireland are performing last. I would have loved the UK to have been later in the draw, but coming off the back of Romania it sounds refreshingly low-key. 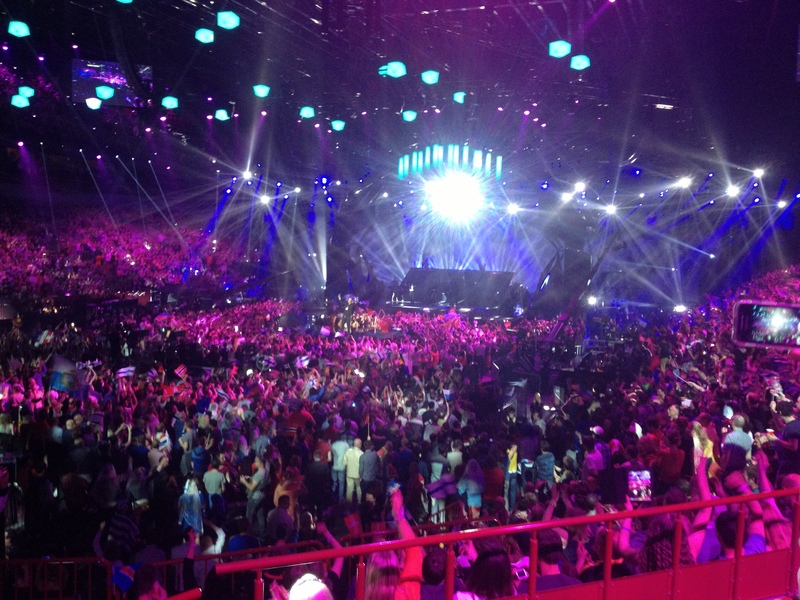 Reports from the Jury Final suggest that Bonnie might not have on top form vocally, but got an amazing reception in the arena. She’ll do us proud – and I’m sure, as Wogan would himself say – we’ll cheer her on with word and gesture. There is a bit of a kafuffle in Turkey – who have chosen to not broadcast either the second semi-final, nor the final tonight. This is because of the kiss that the Finnish singer Krista has with the female backing singer. As I said in a recent post, there is a reason for this kiss – pop over to the ERN website and read Brian’s post about the story, here. I have to admit it – I wasn’t particularly looking forward to the second semi-final. I thought most of the best songs were in the first semi-final last Tuesday. What a surprise then that I actually the show much more than I expected. In fact, you could say that it was one of the best that I have attended – not so perhaps for the music, but for the fantastic atmosphere. Every song got a huge ovation, with the crowd genuinely excited to be there. In some ways it felt like the actual final. So then the results came through and – by some miracle – I got 9/10 on the napkin of death! I’m gutted that I removed Hungary from my list at the last minute – but I’ll get over my error of judgement! The two rappers/singers from Latvia will put in an energetic performance tonight. You might think that they are a little too ‘Bejazzled’ when it comes to their outfits. The song is catchy – and there are opportunities for you to join in – as the crowd in the venue do every time. Good effort, but probably not going through. Remember Carol Decker from T’Pau? Well, she’s not representing San Marino – but their singer, Valentina Monetta, is the spit of her – you know, back in the day. 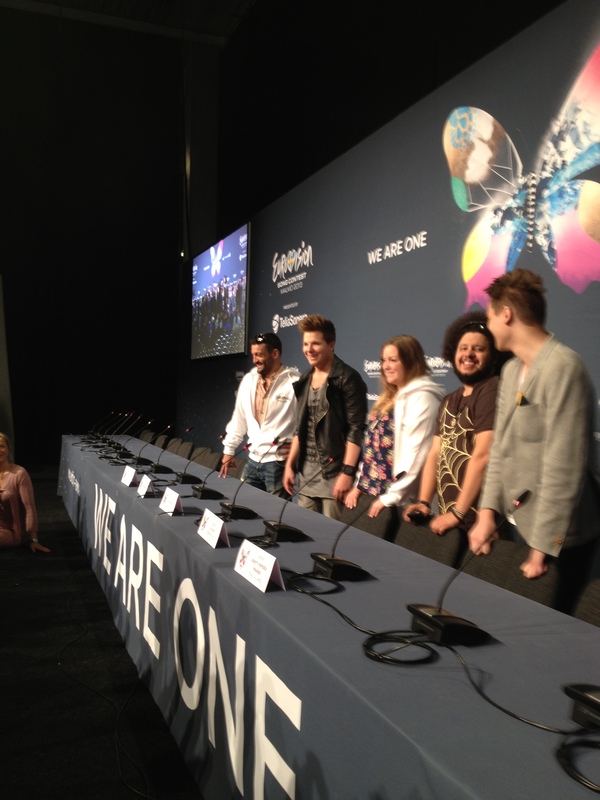 The fans are all over this song, and in the press centre it is currently third favourite. Not that necessarily means anything, as occasionally there is a lack of critical distance here. It’s a nice song, and in a rather dull second semi-final it’ll probably go through. I love this song – one of my pre-Contest favourites. It’s a shame that something is getting lost in translation on stage. Esma (she) and Lozano (he) perform what you might think is a bonkers song, mixing gypsy influences with a bit of balladeering and dubstep. I thought it was a shoe-in to get to the final, but the mix of performers on stage doesn’t quite work. Lozano does his thing, and Esma looks overwhelmed by her costume – rather unkindly referred to by some as a toilet roll holder. I’ll be cheering it on! This is one of the best performances of the week. A fab song, fantastic staging, and a singer who is irritatingly handsome. For some reason Farid can’t seem to keep his top on during promotional appearances. I can’t think why! Surely through to the final, and a top five finish should be on the cards. 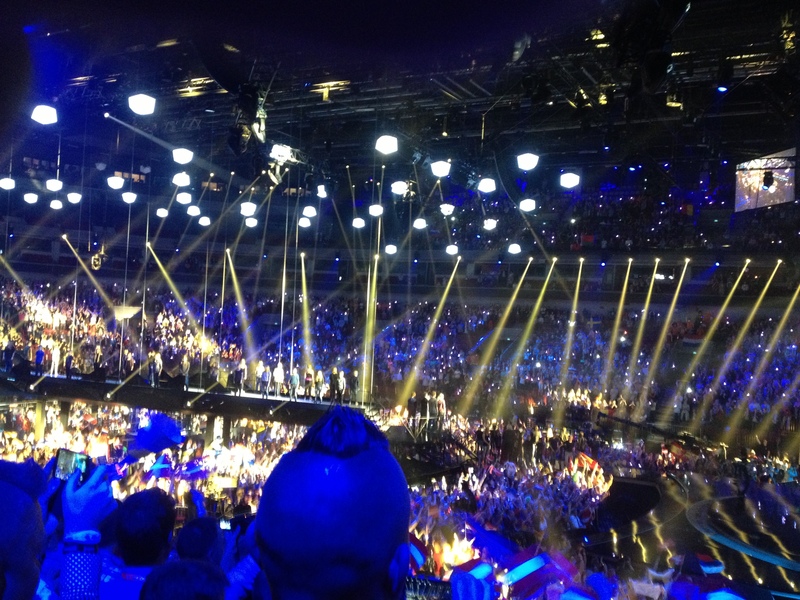 Malta had something of a return to form last year, and made it through to the final. I think this will happen again tonight. If not only because Gianluca’s effervescence will win you over, with a song that could very easily be on the radio in the UK. Elitsa and Stoyan competed in the Eurovision back in 2007 and did very well. This song is a bit of a carbon copy of that, but I can’t see it doing as well. Good energy and lots of drumming (that always does well at Eurovision). 50/50 whether it goes through. Icelandic singer Eythor has a cracking voice, and the song is anthemic and builds in all the right places. A brave decision some might say to sing in Icelandic, but it shouldn’t detract from the powerful vocal and the passion of the performance. At rehearsal yesterday he had a rather unflattering shirt on. Today he’s styled it out with a waistcoat and pocket watch, and the visual impact is much better. Surely going to the final. Double denim, people, double denim. 😀 I’m feeling like this will go through to the final. There’s always a rock number that makes it through, and I think that the strong vocal – and the fact that there aren’t many rock numbers in the mix – this will see it through. Performed by Byealex, this is another one of my favourite songs this year. I love the pace and the vibe, and the soft vocal. I love the animated backdrop of the staging, but my worry is that it really might bye-ByeAlex. Hope not. One of the best songs in this semi-final feels slightly let down by a lack of fire. 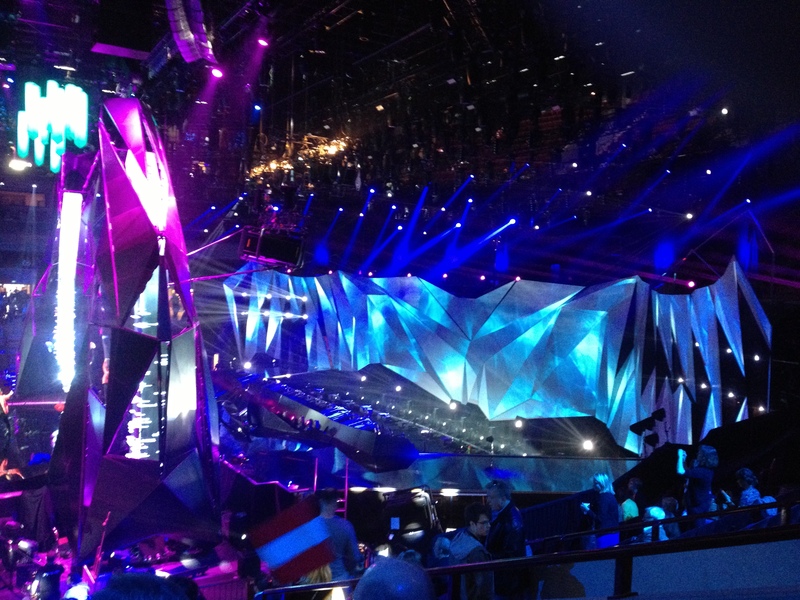 No really – I think it calls for pyrotechnics, which are sadly lacking on the Eurovision stage. It’ll go through for sure, even without the fireworks! Don’t let the greasy-haired singer at the start of the song put you off: yes, it sounds like he’s smoked 20 a day for years, looks like he hasn’t been to bed for a week, and dances like a dad at a disco. Wait for the second singer – he will give you some big-hair vocals! This song might be counted out by the earlier song from Armenia – or they might get through, which is my hunch. It’s the first appearance for this semi-final of the ‘wall of fire’. You will second guess when it will cascade from the rear of the stage. What was once an awesome effect – used to notable effect by Azerbaijan to win in 2011 – now seems overused and a bit contrived. 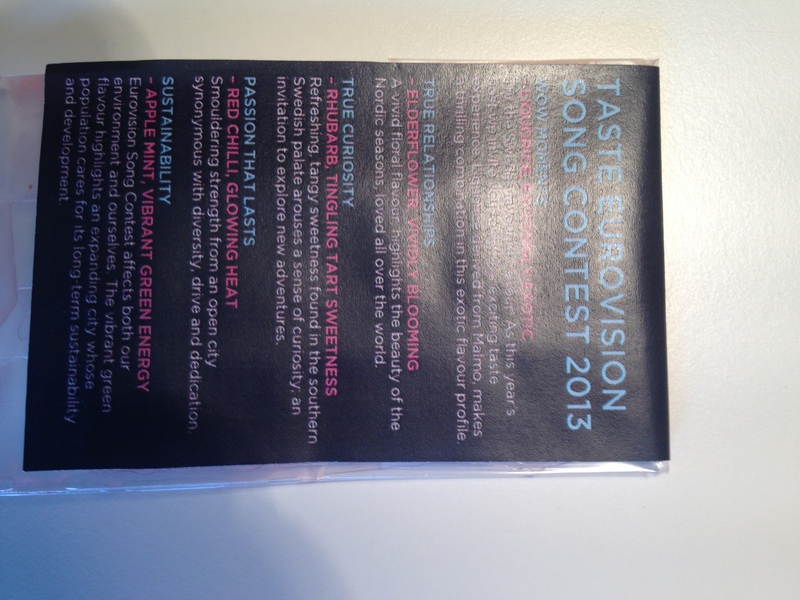 Earlier in the week Paul Jordan (‘Dr Eurovision’) predicted that this is the winning song for 2013. He will be insufferable if he’s right! I don’t think it will, but Nodi and Sophie give some welly, and it’ll sail through to the final. At the national final the performers, Takasa, performed The Salvation Army outfits. 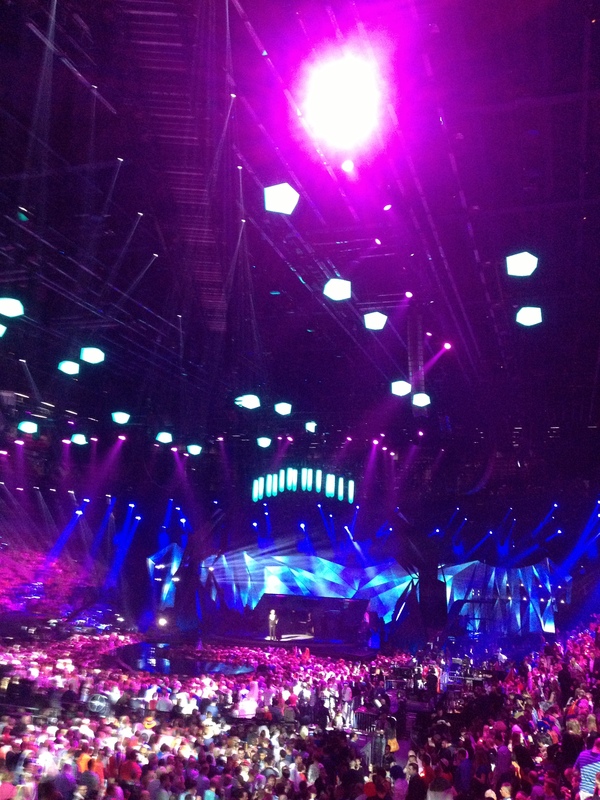 EBU bosses said that they couldn’t do this on the stage at Eurovision – references to faith, religion, spirituality etc. aren’t permitted. Look out for the oldest ever performer during this song, at 95 years young – good man yourself. The song is catchy and with the backing of the Sally Army it’ll get through. 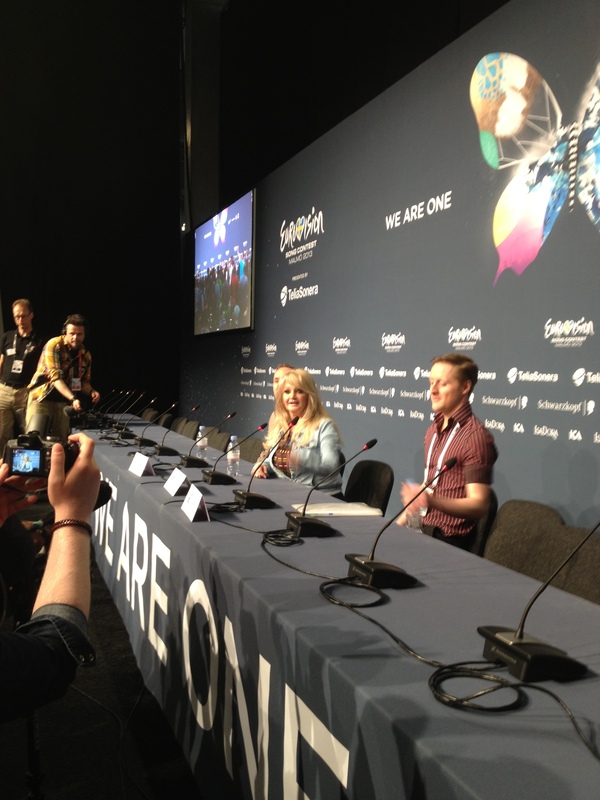 Yesterday afternoon I headed to the Malmö arena to see the Swedish Singer Robin Stjernberg and our very own Bonnie Tyler rehearsing ahead of their performance in the final on Saturday night. On Wednesday there was a mix of business and pleasure for me. 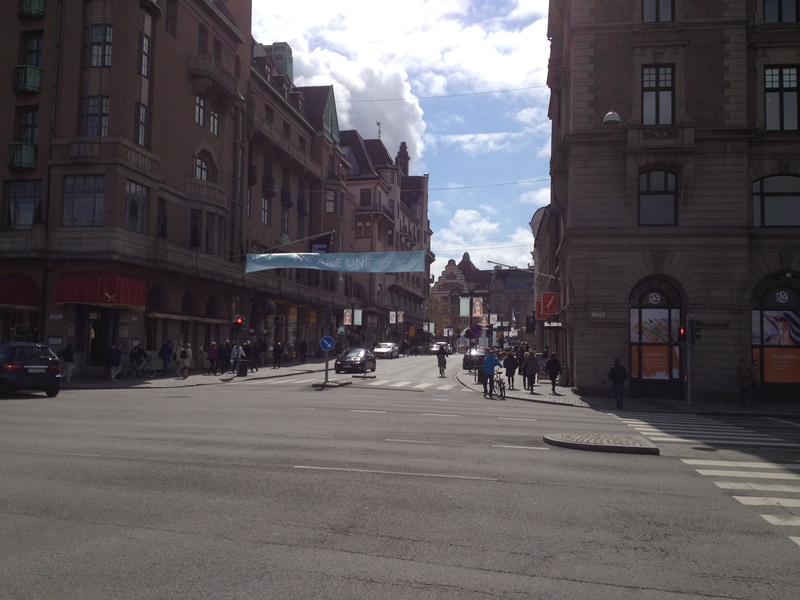 In the morning I attend a conference at the University of Malmo entitled A Transnational Vision for Europe? 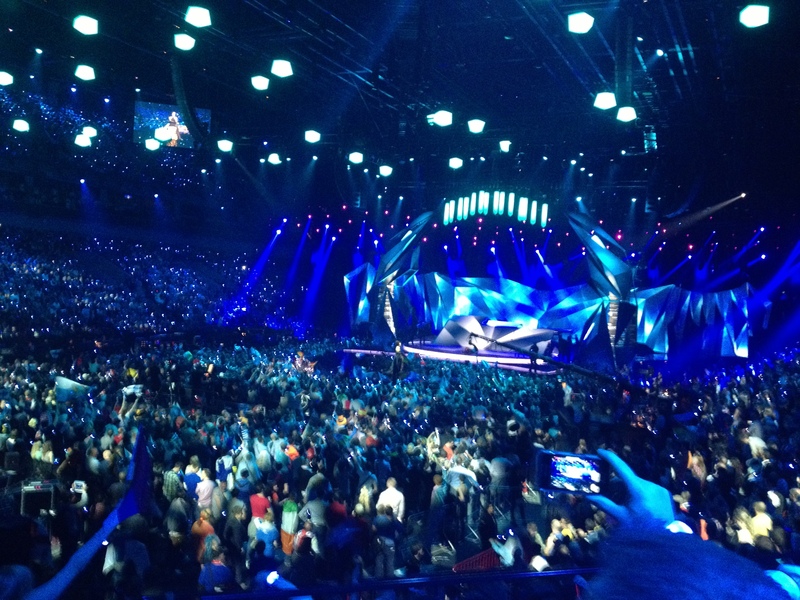 Performances, Politics and Places of the Eurovision Song Contest. It has brought together a range of academic and interested parties from around the world, reflecting the expanding nature and diversity of research being undertaken in this area. If you’d like to get a flavour of what’s on the programme, click here. Lucky for me, I was first to deliver my paper – and I was pleased with how it went and how it was received. A range of good questions followed, and it was good to get positive feedback from friends and delegates at the conference. I was on the same panel as my good friend Dr Paul Jordan. We first met at a conference in Volos, Greece back in 2007 – the first dedicated conference on the ESC. He is building a great profile for researching the Eurovision Song Contest. Indeed, I know that some of you will be familiar with his work as “Dr Eurovision”. He will been contributing to both semi-final broadcasts for BBC this week. If you would like to know more about Paul’s work, click here. Some of you might even has seen him on the BBC3 programme How To Win Eurovision last weekend. Paul contributed very well, but the programme was terrible! It was a pity that BBC3 could’t have commissioned a programme which didn’t have to take the ‘proverbial’ out of the Contest. Then again, it was broadcast on Saturday night *and* on BBC3, so their target audience probably wasn’t looking for anything analytical! I thoroughly enjoyed the first semi-final last night. Not many text messages during the broadcast (thank you! ), but lots of discussion via social media. Lots of positive feedback about how great it looked on the telly. 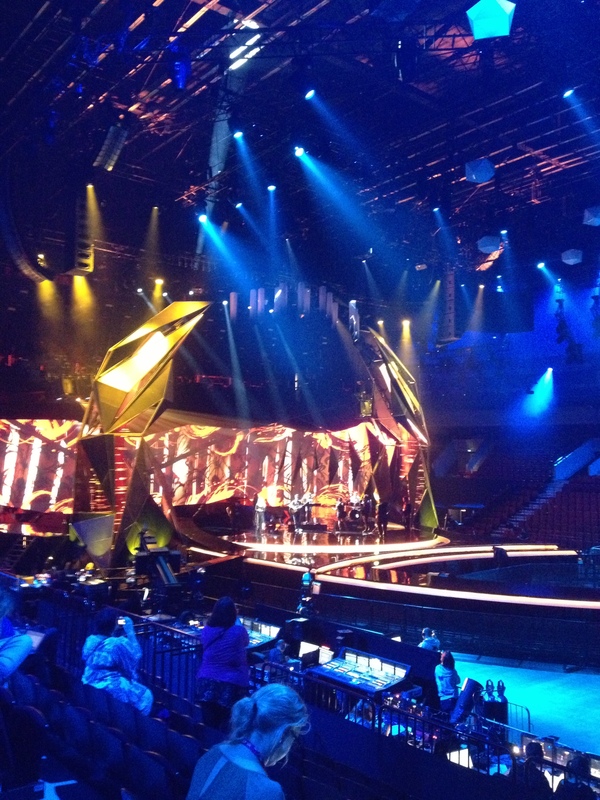 Live television takes a lot of preparation, with each country rehearsing their song over two twenty minute slots during the first week of rehearsals. After that, as you will appreciate from earlier posts, there is the first dress rehearsal, followed by the Jury Final, and – on the afternoon of the semi-final – one further dress rehearsal. Got that? Good. 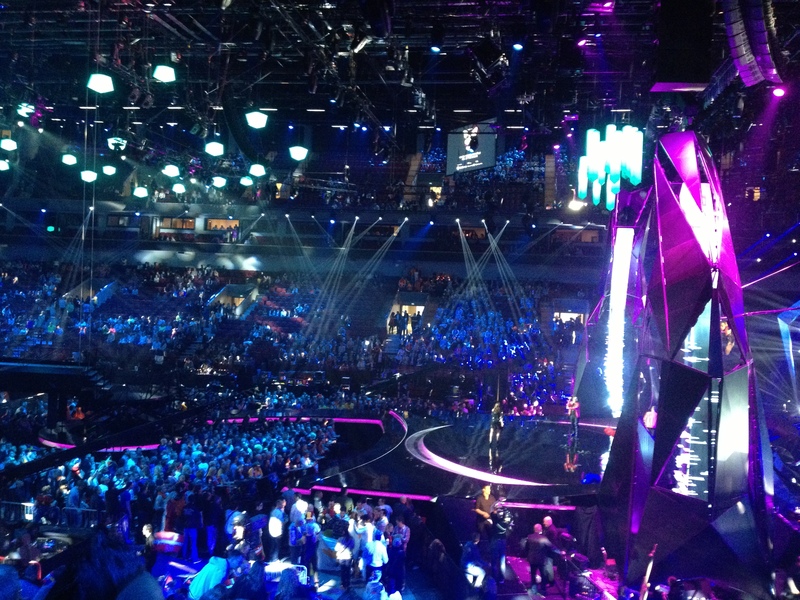 I hope you enjoyed the opening, with the kids and Loreen, and that your favourite songs made it through. 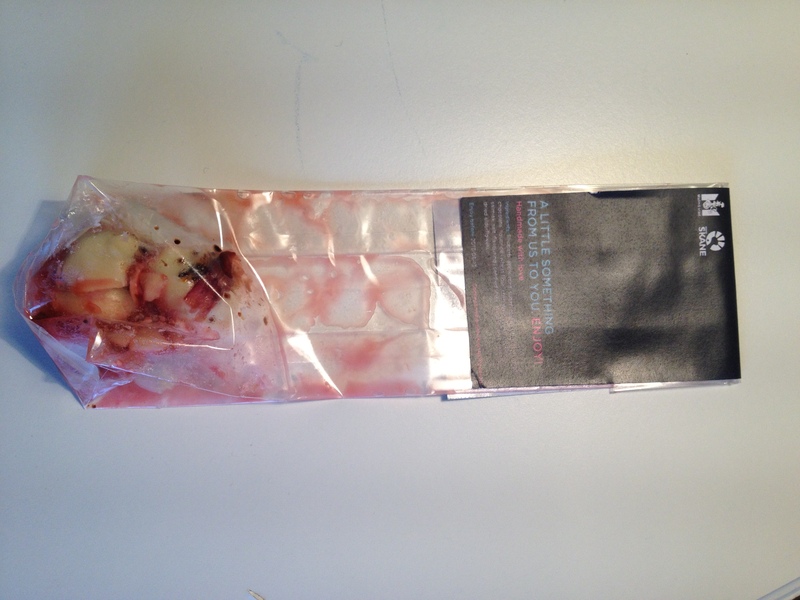 It looks like Brian and I got 7/10 – not bad I guess! The big news was that four Balkan countries got the elbow, and this will undoubtedly be the cause of some consternation in those territories. Indeed, there is already word that Slovenia may take a hissy-fit and not compete next year. That said, countries threaten this every year when they face what they perceive as the indignity of not progressing to the final. Emotions run high as you can imagine, as a lot of time and effort is put into the participation of all countries. I had a ball – hope you did too! It was a late night for me. By the time I got back to the hotel it was midnight. A small nightcap before bed, followed by a timed run-through of my conference paper, saw me turn out the light at just after 2am. 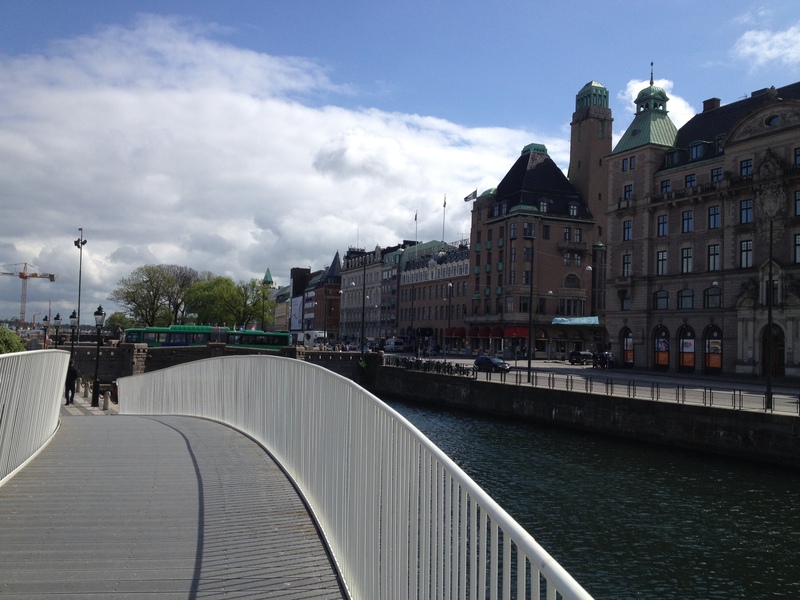 For a 7am start I struggled to sleep, but it was a great second day here in Malmö. 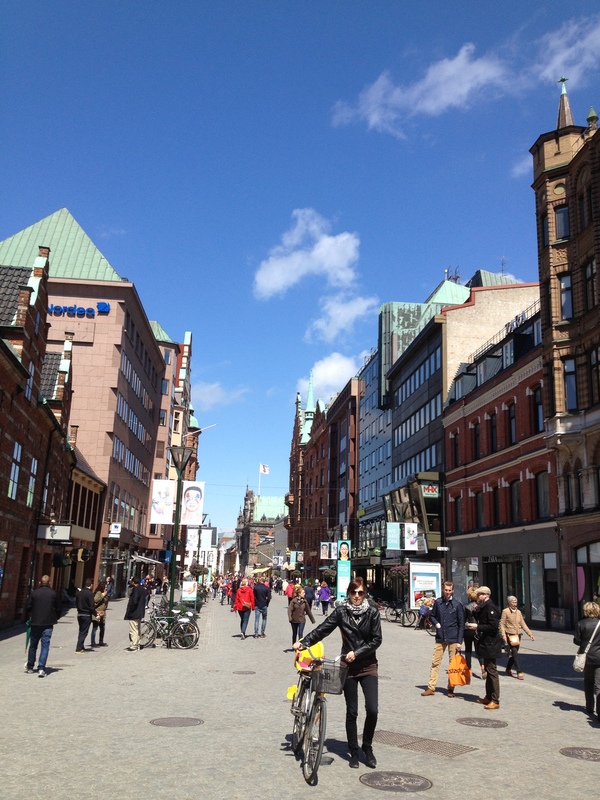 If you ever get the chance to travel to Malmö I would highly recommend it. What a lovely city in which to spend a few days. 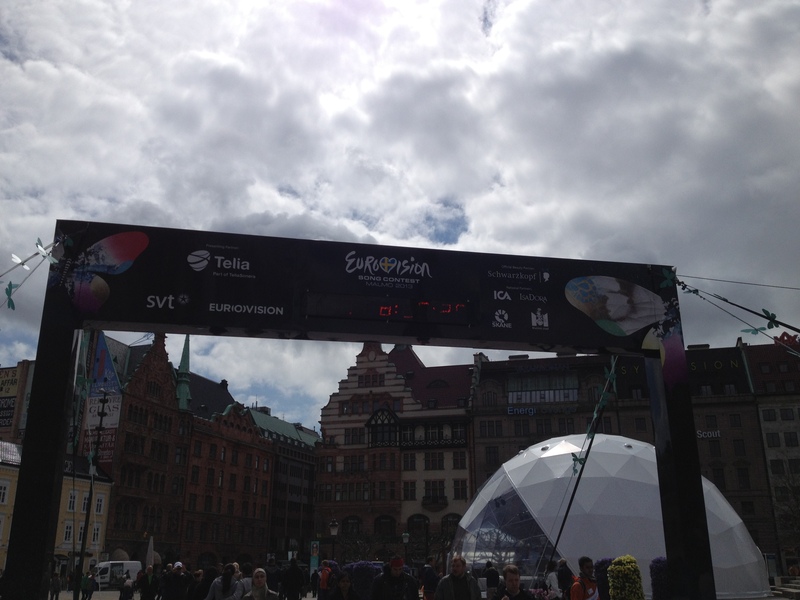 We have been very lucky with the weather so far, with the sun shining on the World of Eurovision. Good times. It is still relatively early in the week – and the press centre does get gradually busier as we move through the semi-finals into the final weekend. It’s a really nice environment in which to work. 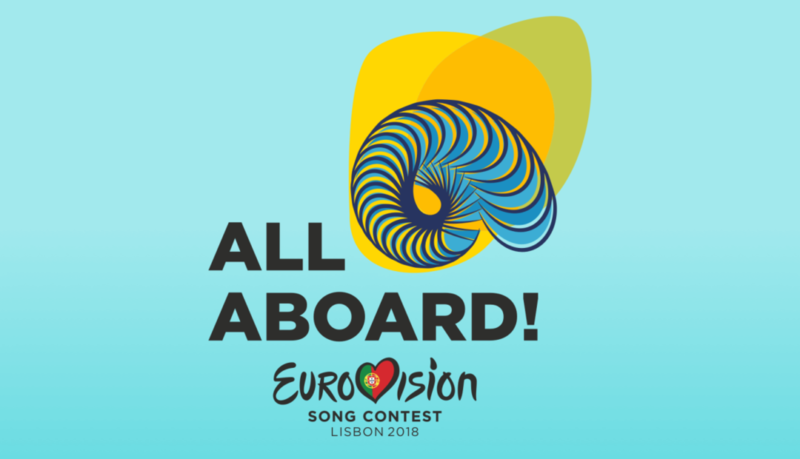 Brian and I have been posting to our Eurovision Research Network website (www.eurovisionresearch.net – click through to the blogs link). I have been finalising a conference paper that I delivered earlier today (more on that shortly), and I’ve been blogging for my friends and colleagues at Edge Hill. 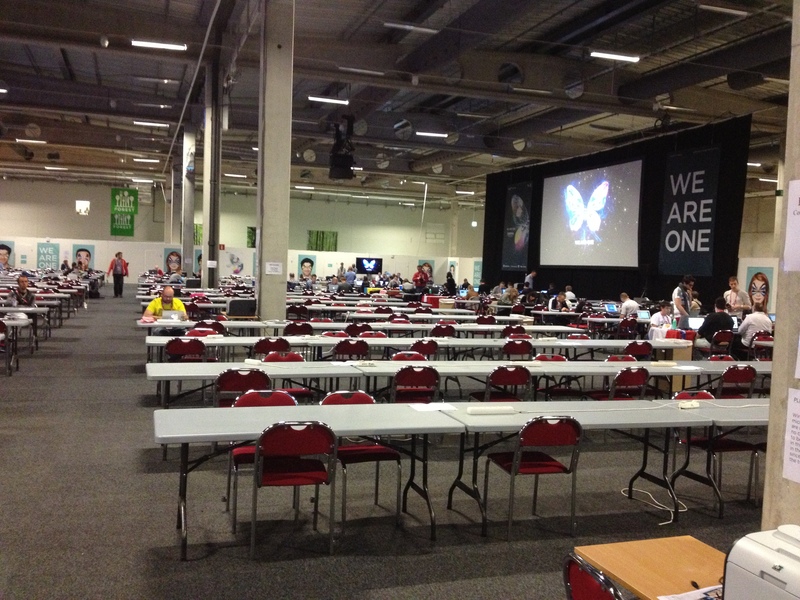 It all take a lot of time, and this is the most hospitable press centre that I have experienced. 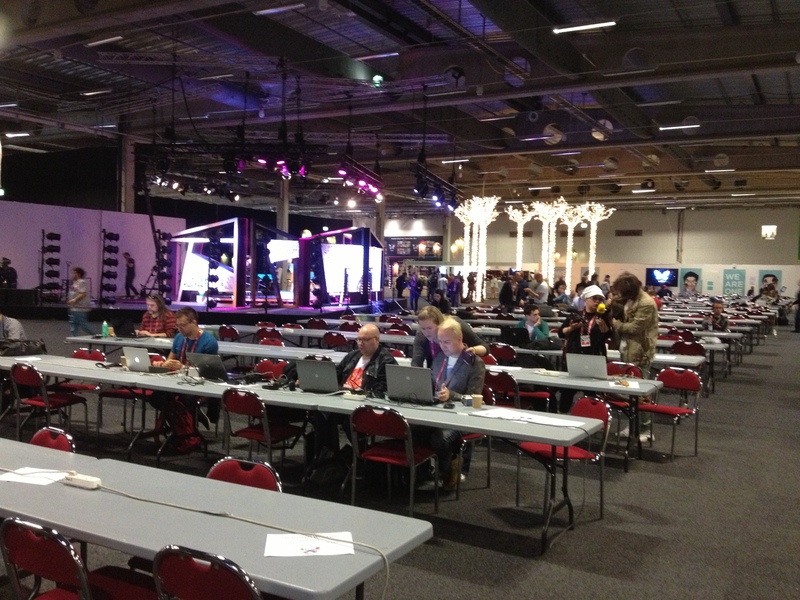 Who can forget that in Moscow the press centre was built on a false floor on top of a swimming pool. No, really – health and safety, anyone?!. One final note on this post, and something that will amuse my friends and music students, who hear me gushing about how much I like Swedish music and all things schlager *all the time*. 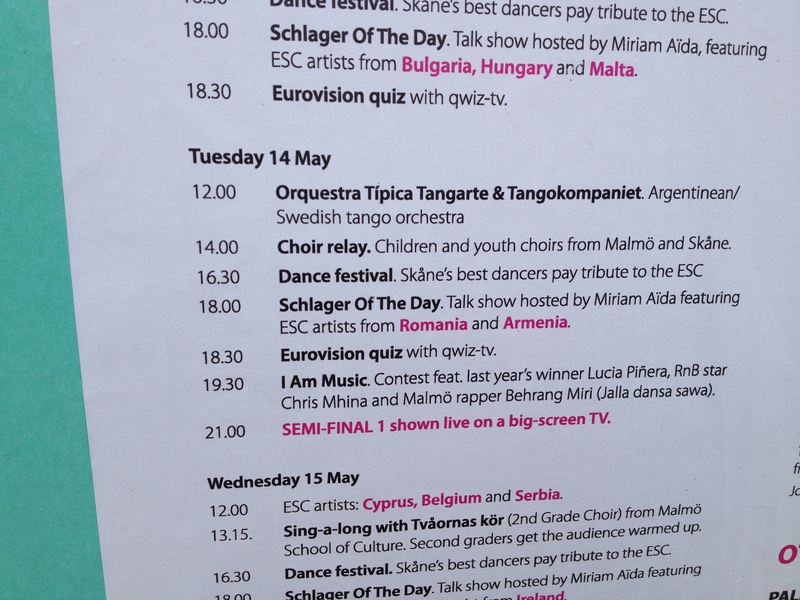 You can see from the notices (below) that there is dedicated ‘schlager time’ as part of the daily diary of cultural events.